Years before the Westfield Valencia Town Center would be developed across the street, a 900-square-foot boutique made its debut and began a journey that would see more than three decades of change. 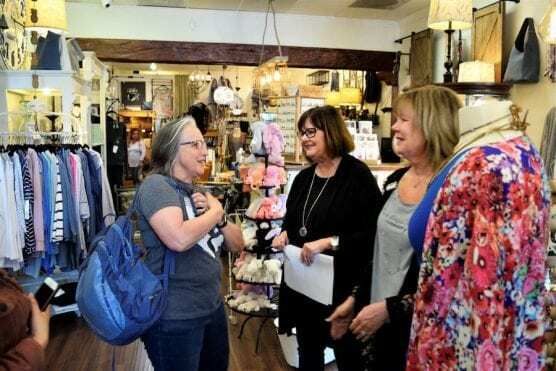 But the owners of Cobblestone Cottage, located in the River Oaks Shopping Center on Magic Mountain Parkway, have announced the time has come to retire the more than 30-year-old business. On Sunday, she and her daughter Jamee Brandt took to social media to make the announcement and share three reasons why they have decided to soon shut down the store. Allie said the third reason was that she would like to retire. “I just want our closing to be a positive experience and one we can truly celebrate,” she added. Since its start in 1987, the store that began as a 900-square-foot boutique quickly grew into its current size of about three storefronts wide. Besides giving back to the hospital, Cobblestone Cottage has supported several nonprofits in the past and that’s how they’d like to close the curtains, said Brandt. Allie said there is no official closing date but customers can soon expect closing sale announcements. I’m really saddened by this news. There is nothing like going into a warm store, spying all of the goods by touch and sight. To me, brick and mortars are needed just as much as web purchases, if not more. You can try on the clothes, see it in real light – make an informed decision…purchase it if you want to (with no shipping/handling costs). Best of all, you don’t have to worry about porch pirates! Another thing, nostalgia. what will be in place of brick and mortars? More housing? Coffee/internet cafes? Cobblestone is a beautiful shop (that landlord should be ashamed of him/herself for not allowing Cobblestone to minimize their space, especially for how long they’ve resided there), and it breaks my heart that it will be closing.